It looks like it’s trailer day here at HeyUGuys again. Does anyone else think it’s funny that this ex-wrestler has sunk so low that he now has movie posters made of him with fairy wings on?! Whatever pays the bills I guess! Here’s the new trailer for Tooth Fairy which stars said wrestler, Dwayne Johnson, Ashley Judd, Julie Andrews, Stephen Merchant and Ryan Sheckler. It should be us on 29th January next year. I’ve embedded the trailer below or head over to Yahoo to view in HD. 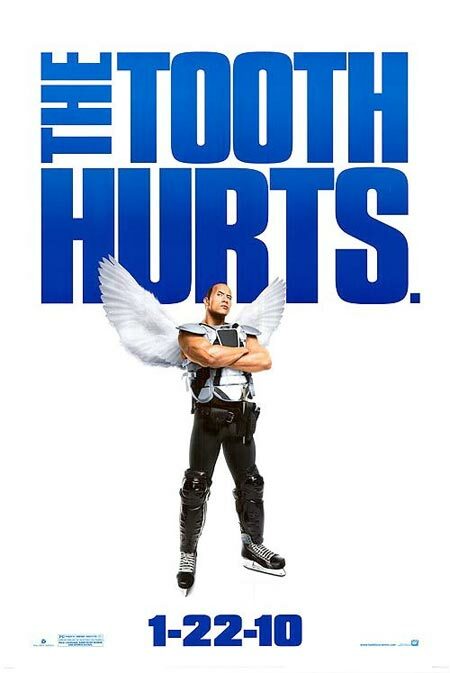 When a pro hockey player, nicknamed the Tooth Fairy for his ability to knock out other players’ teeth, dashes the hopes of a young boy, he is ordered to one week’s hard labor as the real Tooth Fairy.